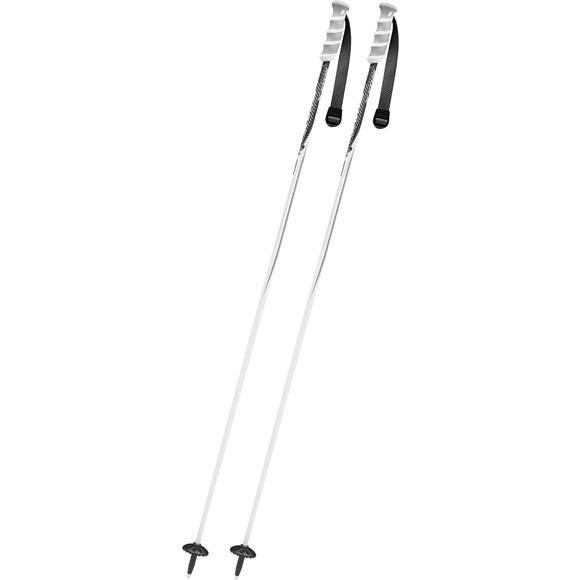 Swix Excalibur DD5 Ski Poles are reinforced to withstand the most demanding usage and are almost unbreakable. Upgraded with new high tech Carbon twill webbing straps attached to DD5 handles, these carbon sticks are visual eye-catchers. Scored these carbon ski poles for an excellent price, shipping was extremely fast. They look great, size is right on, can't wait to get out on the slopes.